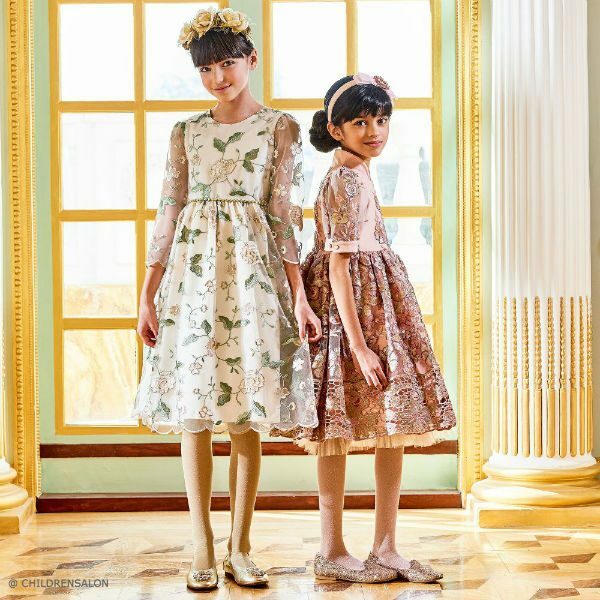 Love this adorable special occasion look for girls from the Childrensalon Eid photoshoot. 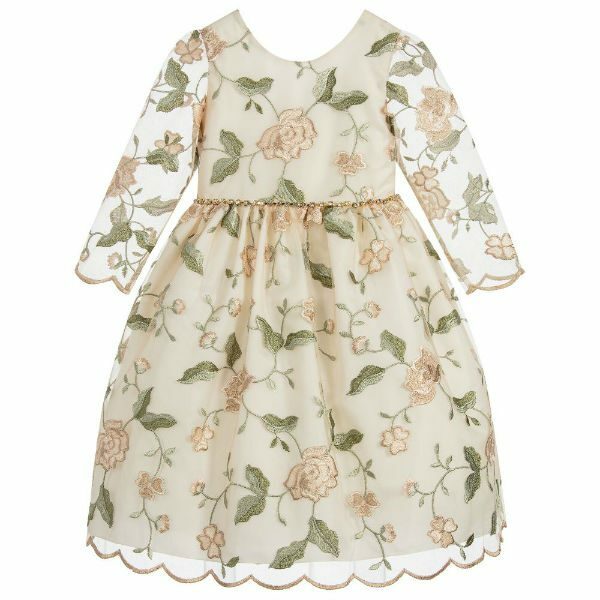 Spanish brand Graci has designed this gorgeous satin dress by with an embroidered floral mesh overlay in green, gold, and pale pink. It has scalloped edges, a jeweled waist, and long length satin ties to fasten on the back. 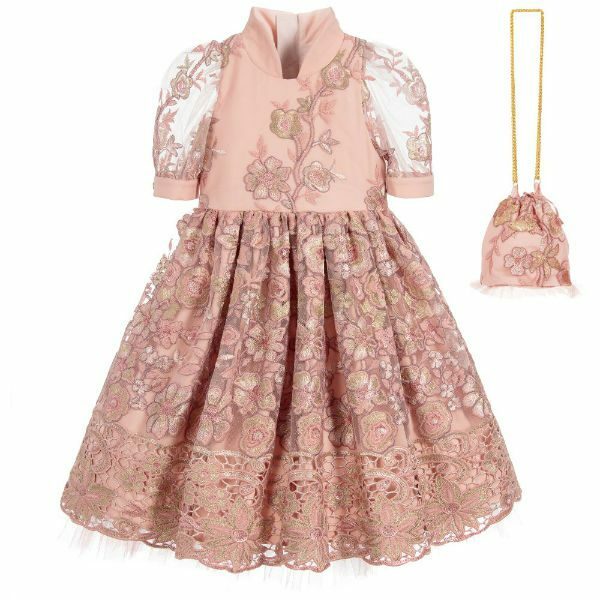 This dusty pink occasion dress by Junona, made in silky satin with a stunning floral overlay in pink and gold embroidery has sheer tulle sleeves with adjustable button cuffs, a stand-up collar and a tiered layer of tulle over a fine cotton lining.